Electronic product business is making a steady amount around the world. 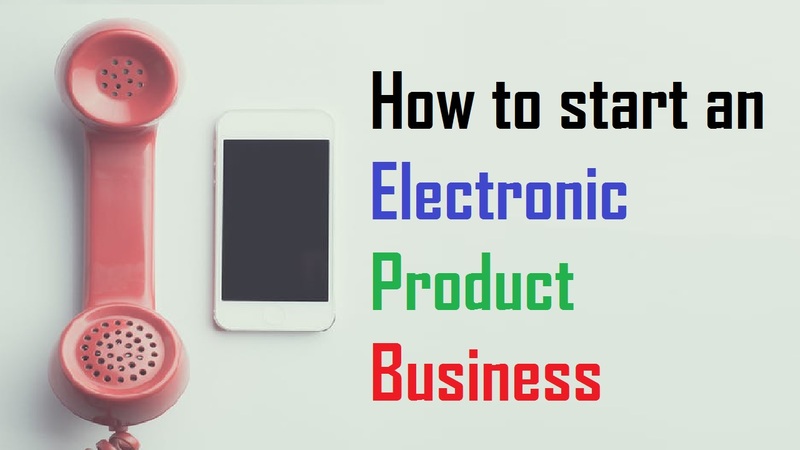 If you are willing to make money by selling electronic products then you are at the right place. I will be sharing with you some ideas on how you can open up an electronic product business of your own. The first thing that you need to do is plan out your business plan. You need to know what kind of electronic products you are willing to sell. My advice to you would be that you do not sell all kinds of electronic product. Because this way you will need a lot of money and everything will be haphazard. I suggest you start with small maybe sell two kinds of electronic product at first. Since you are planning to start an electronic business you will need a good amount in your pocket. Remember, small electronic stores cannot compete with large online competitors on price or catalog. Now that you know that your investment should be quite high, it is time to focus on your location. You can open your shop at a large shopping complex or start a small shop at your area. But I would suggest you isolate yourself from another electronic shop. This way you will have no competitors and when your customers will find no other electronic shop they will eventually come to your shop. You could talk to big electronic companies how they got their success. Note down the useful advice they give to you. You need to have knowledge of what you are selling, your customers will be asking a lot of questions regarding your products. So whatever products you are selling in your shop know how they work. Attract your customers with your skills. Hire people. When loads of work pile up you won’t be able to handle your business alone. You will need extra hands to help you around. Train your employees well. Each of your employees should be educated about your products. You could make them wear t-shirts with a name of your company. Decorate your shop with beautiful lightings, painting, air conditioners and so on and so forth. Put a glass door. Buy sofas from the comfort of your customers. But strong shelves so that it can withhold the weight of your products. Security is one of the biggest factors. Put up CCTV cameras and burglar alarms. Hire a guard. Consult a reliable supplier who can supply products at a cheaper rate. Make sure he is no fraud. Market your business. Put up ads in local newspapers, yellow pages, and other online advertising segments. Give away pamphlets in your neighborhood. Organize a grand opening for your shop, invite everyone. Put up banners inviting the people. You could also do a lottery contest among 100 people where the winner will go home with a prize. This way will be more famous in your neighborhood. You could also invite a celebrity for your grand opening. But if that gets too expensive do not bother. Electronic products are a necessity in every household, shops, factories, and companies. This business will be hyped with a few days after your grand opening. You just have to love what you do and have the passion for your work.